James Adler is a pianist who “can create whatever type of music he wants at the keyboard” (Chicago Sun-Times) and a composer who writes “with uncommon imagination” (Atlanta Journal-Constitution). His extensive list of compositions is headed by Memento mori: An AIDS Requiem. Performed worldwide, recorded by AmorArtis Chorale and Orchestra, and published by Alfred Music, Memento mori features a “range of expression [that] is expansive” and is “a unique, well-crafted, emotionally rich piece” (American Record Guide). Other compositions include Reflections upon a September morn (poetry by Walt Whitman); Monday's Child, performed last holiday season at the Cathedral of Saint John the Divine and at the Metropolitan Museum of Art; Allegro Scherzando for symphonic band and piano; Carols of Splendour, premiered at Carnegie Hall; It’s Gotta Be America, commissioned for the Centennial Celebration of the Statue of Liberty; and Canticle For Peace, written for the opening of the 43rd session of the United Nations General Assembly. Mr. Adler is also the composer of Concerto in G for Piano and Orchestra, the children’s “pOpera” Herbie and Carnie: A Dinosaga, the Classic Rag-time Suite for orchestra, numerous solo, chamber, and choral works, and the award-winning film score for The Hat Act. 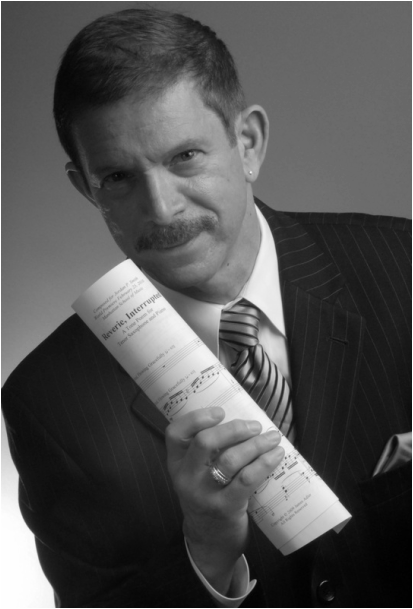 As performer and composer, Mr. Adler can be heard on recordings from Albany Records, Capstone, Navona, and Ravello Records, including his newest release from Albany, Introspections. He is a member of the Department of Fine Arts at Saint Peter's University.